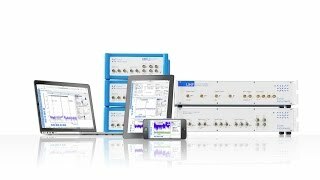 LabOne® provides users with a platform independent instrument control including proven measurement methodologies. LabOne is designed to offer a great amount of flexibility for instrument usage and at the same time assures quick and efficient operation. The browser based user interface provides an outstanding toolset for time and frequency domain analysis as well as sophisticated support to set up control loops, making noise measurements or to interpret measurement data. For programming users interfaces to the most popular languages are available. Check out for the LabOne Highlights or the LabOne Philosophy. With LabOne the user interface is the cockpit for instrument control, data capture, data analysis, and data storage. The user interface offers intuitive control by a fully functional block diagram for each demodulator and can be easily adjusted to meet specific application and user needs. A choice of time domain and frequency domain tools operating on both fast samples (raw samples from the A/D converters) and slower samples (after demodulation) is provided. Multiple tools serve to address a wide variety of research objectives within the same user interface. Whether you prefer working with C, Python, MATLAB, LabVIEW or .NET, LabOne supports all of these programming languages. 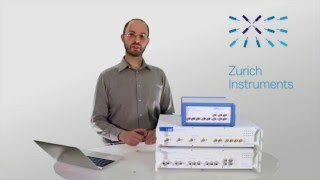 From the Zurich Instruments viewpoint all user programs are clients that access the same server. Legacy code can run concurrently with new software written in another language, while the settings for the Instrument will remain consistent as they are centrally managed by the server. The choice of which platform you want to use to operate, control, or monitor your measurement instrument is yours. Freedom of operation is the credo. This is achieved by embedding the most up-to-date Web 2.0 and HTML 5 technologies, ensuring fast and intuitive user interface operation. Using a browser based user interface, remote measurement becomes a reality for research laboratories.